I shared a photo on my Instagram a few days ago of this and named it soft mithai or goolab jamun. A few of my followers disputed the name goolab jamun, stating that they know it as soft mithai. I also grew up with calling this soft mithai but I discovered that it’s also called goolab jamun in Trinidad; I’ve also had some Trini followers refer to it as kurma(mithai). I promise I’m not trying to confuse you. You see there are two types of goolab jamun. 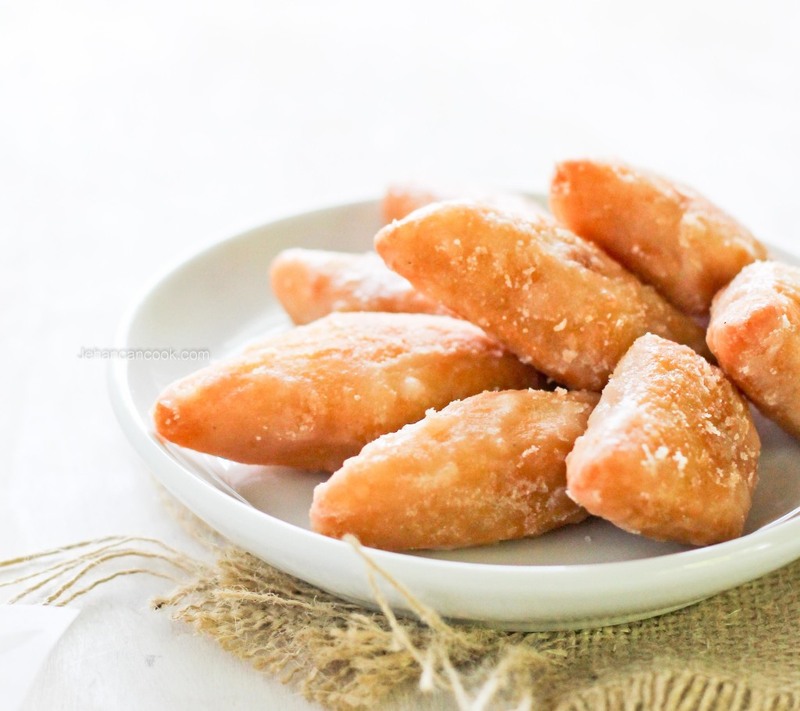 There’s the Indian version (gulab jamun) that is basically is a powdered milk fritter that’s soaked in a syrup; I posted a recipe for that a long time ago here so go check it out. 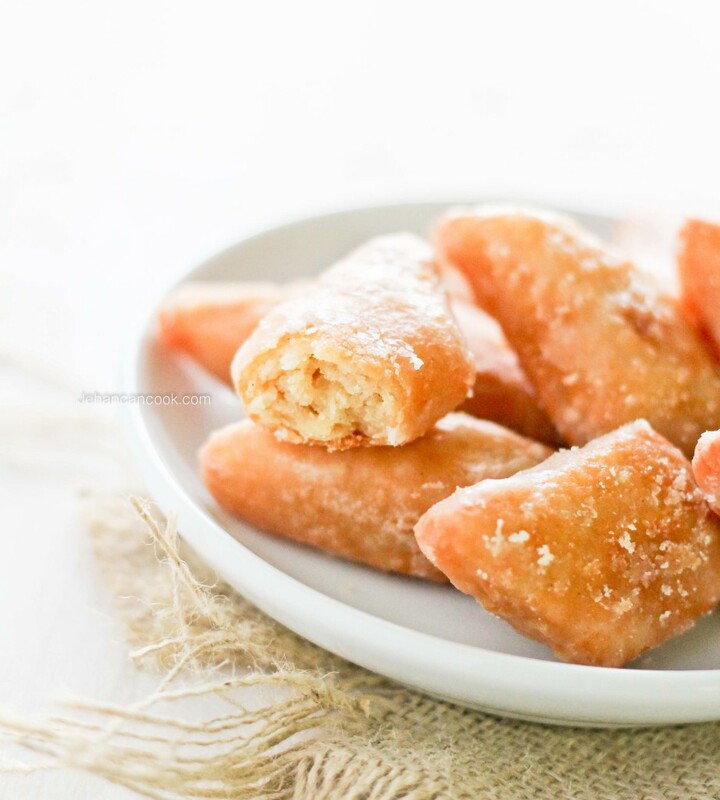 Now in the Caribbean there’s this version which is also a fried fritter but it is coated in a sugar syrup which then crystallizes and becomes a bit powdery. I’ve come to realize as I study food and its origins that many of our dishes in the Caribbean may bear the same name as the original versions but the dish itself differs quite a bit. Spelling is also something that I’ve found to vary quite a bit also. Soft mithai is something that I’ve always loved. It’s not that I loved it more that the crunchy mithai, I think it was considered a bit more special as we usually ate this on special occasions, such at weddings. It’s delicate milky flavor that has hints of cardamom (elaichi) and ginger is perfectly complemented by its sugary exterior which surprisingly is not overly sweet. What do you call this? Soft Mithai or Goolab Jamun? Have you ever had the original Gulab Jamun? To make the dough, place flour, cardamom and ginger in a large bowl. Cut the butter into small cubes, and then rub into flour using your fingers. Next add evaporated milk and combine to form a soft dough. On a floured surface, roll dough to about ¾ inch thickness then cut into small diamonds about 2-3 inches in length. 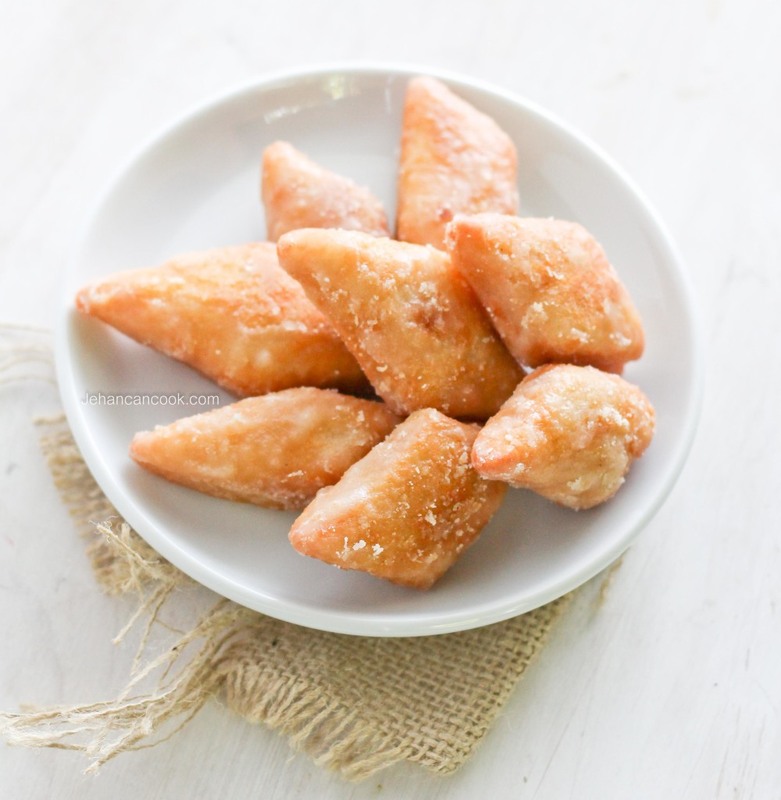 You can also pinch off small pieces of dough and form into an almond shape. In a shallow pan add about oil about 1 inch deep and heat over medium fire. When oil is hot, gently add the dough and fry until both sides are golden brown. Place on a plate lined with paper towel to drain. Work in batches so the oil doesn’t drop in temperature, this will cause the dough to be oily. When all the dough has been cooked, set aside. To make the sugar syrup, place the sugar and water in a small pot and attach a candy thermometer. Place the cooked fritters into a heat safe bowl and set aside. Next cook the syrup to 235-240 degrees. If you do not have a candy thermometer, cook until sugary crystals begin to form on the side of the pot. Carefully pour the hot syrup over the fritters, then stir with a spoon to coat. Let dry. As it dries, the sugar will become white and slightly powdery. Enjoy! Please follow me on Facebook, Instagram, Pinterest and Twitter. Thank you Chennette! Thanks for clearing it up! Dawn, I’ve never heard of that name before. Thanks for sharing! Natasha thank you so much for visiting! Approximately how many mithai does this recipe make? I need about 60, can I double the recipe if it doesn’t make a lot. This will make about 60. I noticed you did not add any baking powder. Is it not necessary? No baking powder isn’t necessary Rohini. Don’t Miss Another Post! Subscribe Now!